The highest quality pure 100% Whey Protein Powders. Our ultra-premium whey protein powders are the gold standard of quality, taste and results. We use only the highest quality ingredients, sourced from exceptionally high quality European dairy's. We control every aspect of the production process from formulation to ingredient selection, sourcing, and finally blending and packing. This ensures we offer the best quality, lowest prices and best customer service in New Zealand. Being one of the UK's largest manufacturer's we pass on the savings to you, the customer. 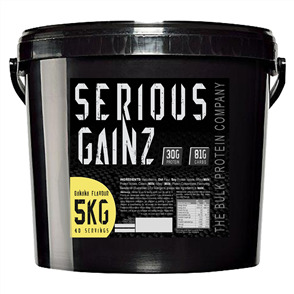 Bodybuilding Warehouse is one of the largest sports supplement manufacturers - we manufacture a wide range of sports nutrition products from our State of the Art 21,000sqft facility in Manchester. In addition to our own ultra-premium quality home grown range, we also contract manufacture for a huge number of other well known brands - so the brand you're using at the moment may be made by us! Very few brands have their own in house production facilities, due to the immense investment this requires. Due to having these facilities ourselves, our volume ensures we can reduce the cost to you whilst ensuring incredible, gold standard quality. We pride ourselves on manufacturing 100% ultra-premium quality supplements. Here at Bodybuilding Warehouse we offer the highest quality whey protein in the World. All our whey protein is sourced from industry leading European dairys that have been audited and approved by our in house ingredients sourcing team. We then mix and blend our whey with the very best flavouring systems to create delicious, ultra-premium products that taste great and give you incredible results. If you're looking for the World's best whey, from one of the UK's largest direct manufacturer to consumer suppliers, you've found it here! We love whey - and we know you're going to love our whey too!